For several years, Lamb has taught writing to a group of women prisoners at York Correctional Institution in Connecticut. 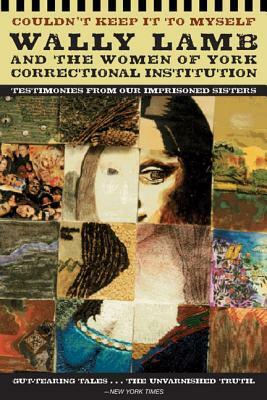 In this unforgettable collection, the women of York describe in their own words how they were imprisoned by abuse, rejection, and their own self-destructive impulses long before they entered the criminal justice system. Yet these are powerful stories of hope and healing, told by writers who have left victimhood behind. In his moving introduction, Lamb describes the incredible journey of expression and self-awareness the women took through their writing and shares how they challenged him as a teacher and as a fellow author. Couldn't Keep It to Myself is a true testament to the process of finding oneself and working toward a better day.